Discover the little, but fine Heath City UELZEN at the borders of the Luneburg Heath. 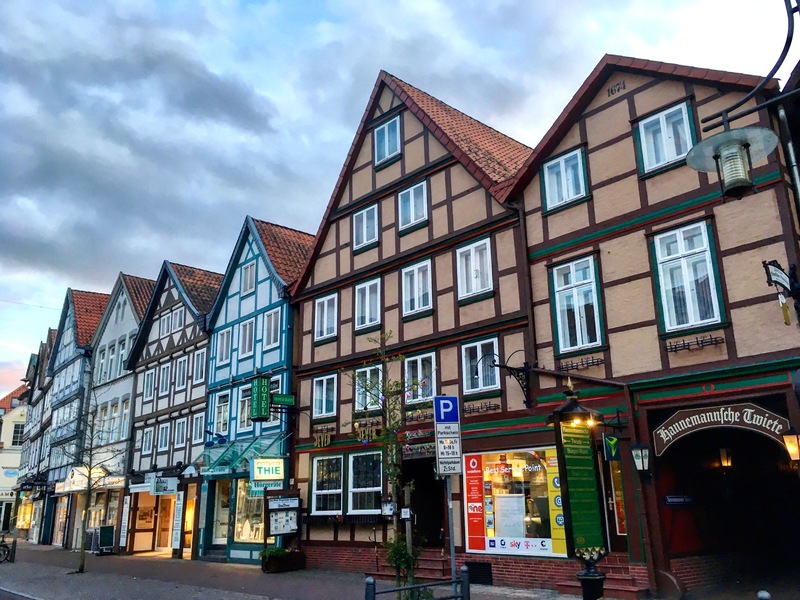 As part of the Metropolregion Hamburg, the Hanse City enjoys great popularity amongst vacationeers looking to experience nature and relaxation. Located at the Heath-River Ilmenau, attract green shores, little parks and woods. In the vicinity you may discover three nature parks, lakes and heath surfaces. Uelzen is unique open air art gallery, where the cityscape is dominated by half-timbered gable houses, the north German Brick Gothic up to the world-famous Hundertwasser-Station. 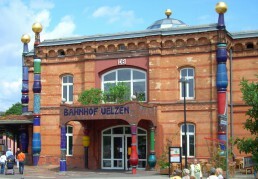 During the EXPO 2000 the Uelzen-Train-Station as remodelled according to plans designed by famous Artist and Architekt Friedensreich Hundertwasser. It was one of his last projects and since than a famous tourist attraction. This track leads from the Hundertwasser-Station to the city center. It consists of 21 large rock carvings (up 3,5 m high) painted by Dagmar Glemme a local artist and placed at 50 to 100 meters distance. Similar to many other cities, the 2nd world war destroyed part of the historical city center. 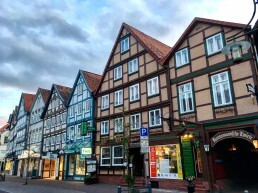 Yet visitors may still enjoy the ancient brick gables, lovely half-timber houses proudly showing their rich ornaments. Well conserved is also the Monastery Oldenstadt, built in the middle of the 10th century and forming the actual center of the historical Uelzen. The mighty there-aisle Saint Mary’s Church (2 minutes walking from the hotel) with its 86 meters high steeple was built in 1292 and hosts the largest organ of the Luneburg Heath. Besides sacred art-treasures, in this gothic brick building you may find the Golden Ship, the actual landmark of Uelzen. Next to Saint Mary’s Church you’ll find a bronze monument which goes back to a saga. Striking is a shiny gold coin held by one of the figures. No wonder, as this a lucky charm and rubbing the gold coin you’ll always have enough money in your pocket. So, nothing but trying it out! Holdenstedt Castle today is the home of Uelzen’s Local History Museum. Exhibits embrace archaeological and historical themes from Renaissance till Art Nouveau. The castle itself was built at the beginning of the 18th century on the remainders of a medieval Water-Fortress. Impressive are the stuccos created by Florentine artist Carlo Francesco Tagliata.